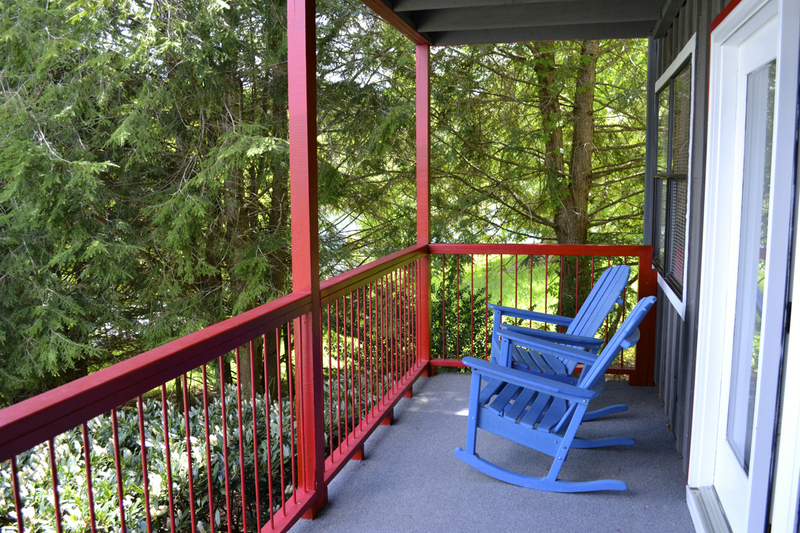 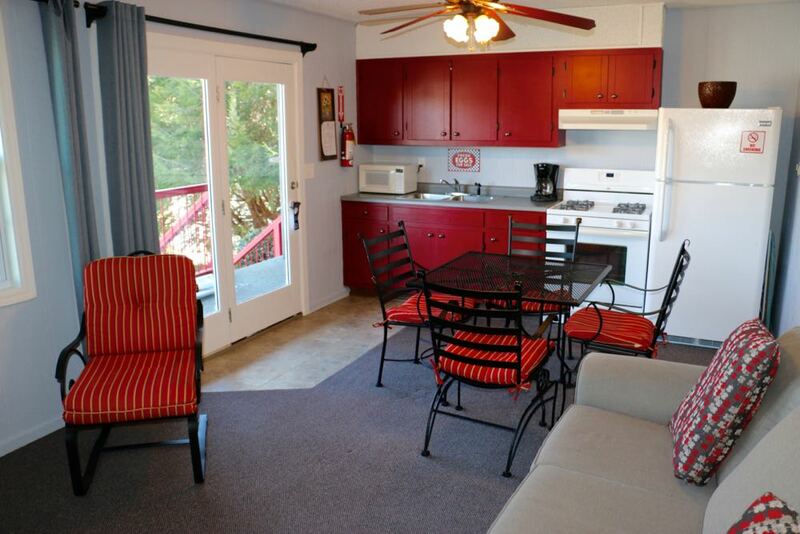 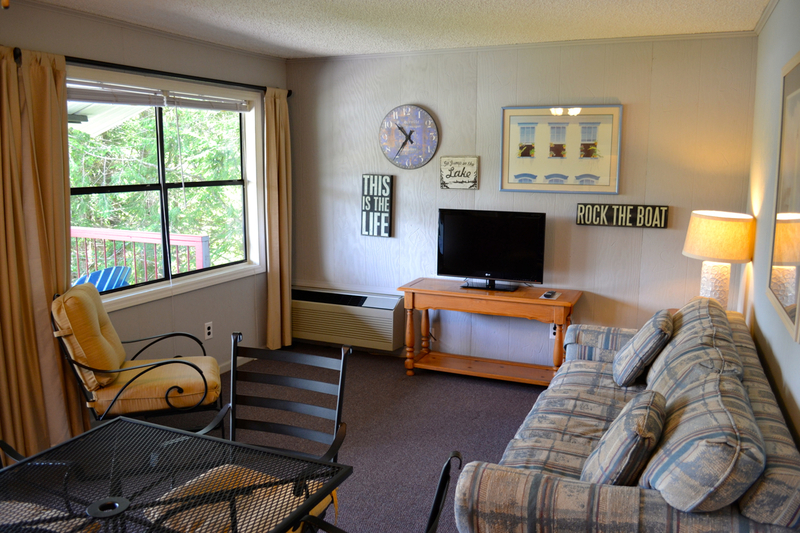 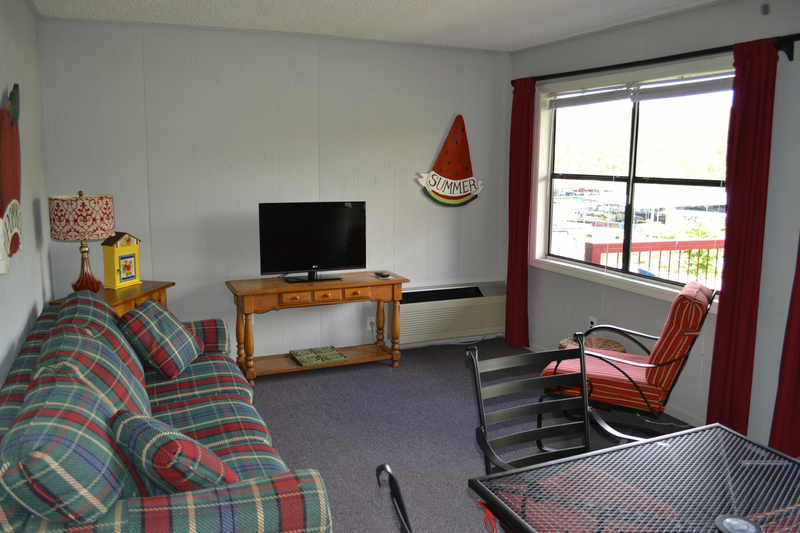 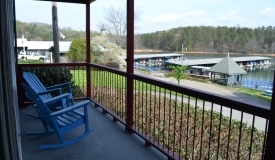 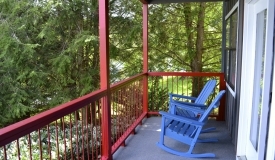 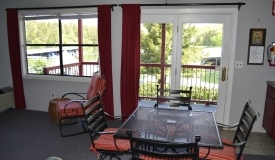 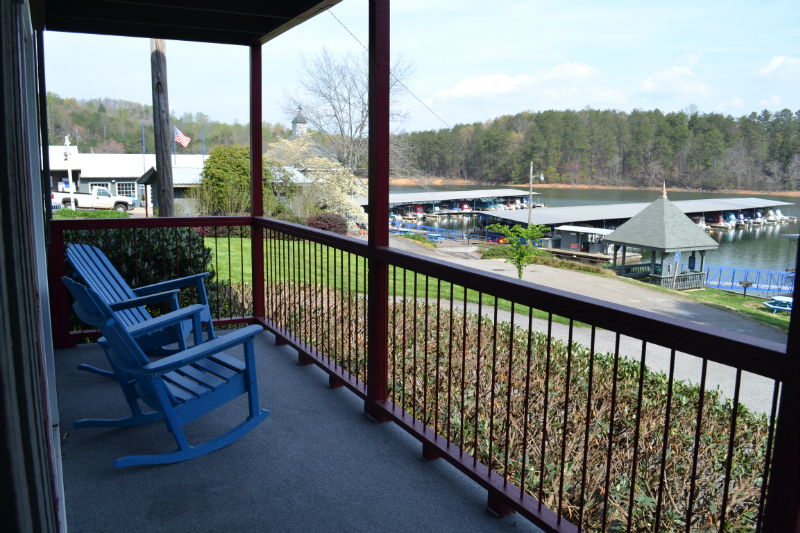 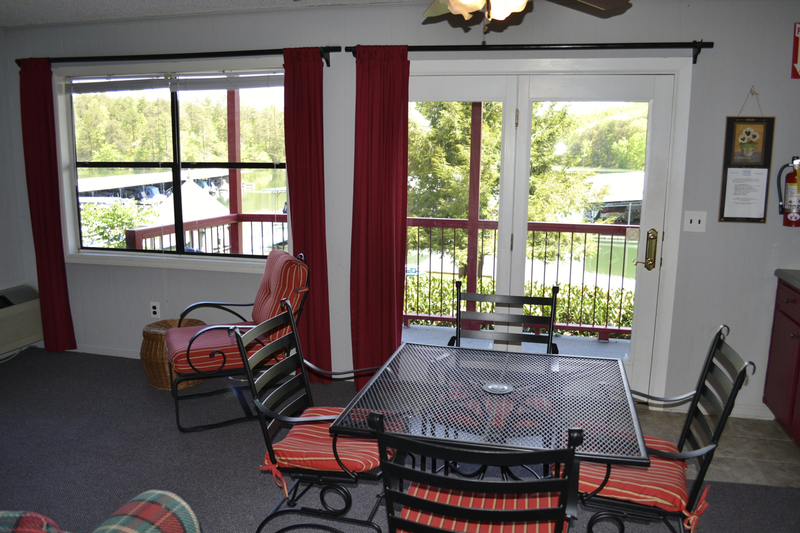 Deluxe waterfront suites offer a balcony view overlooking our secluded cove and surrounding national forest. 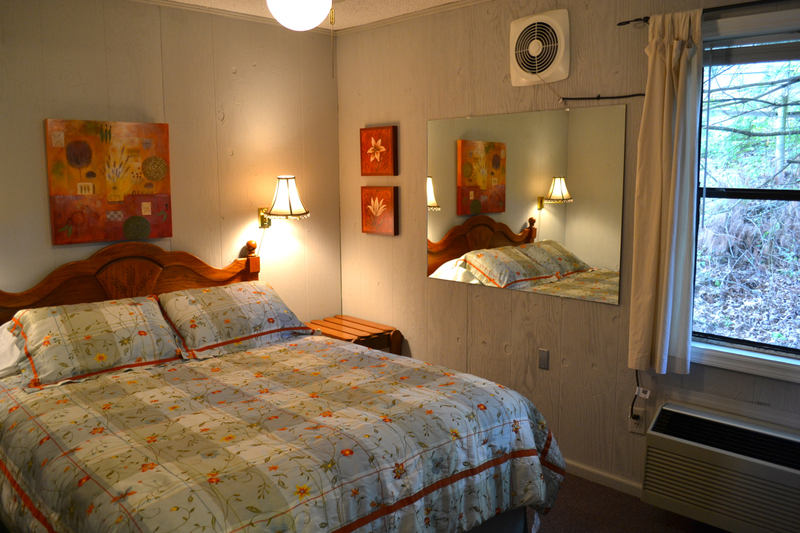 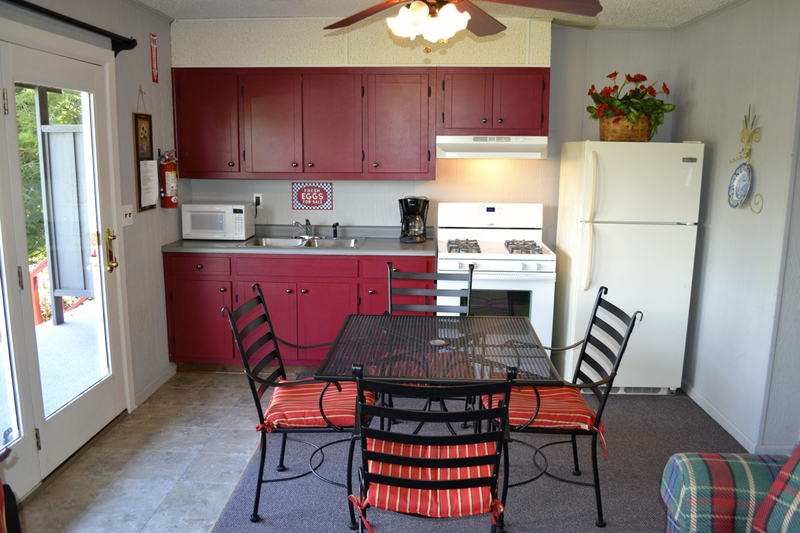 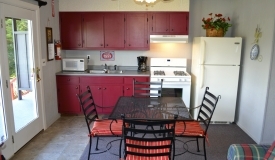 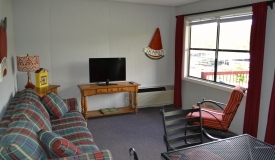 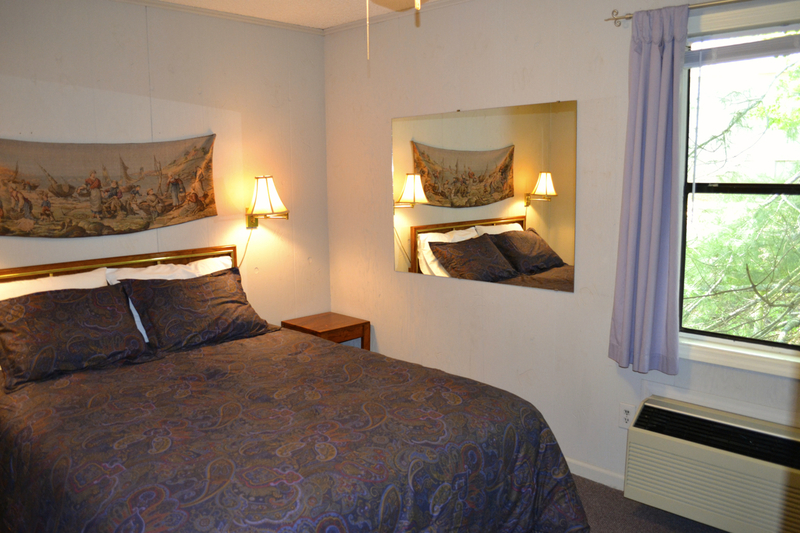 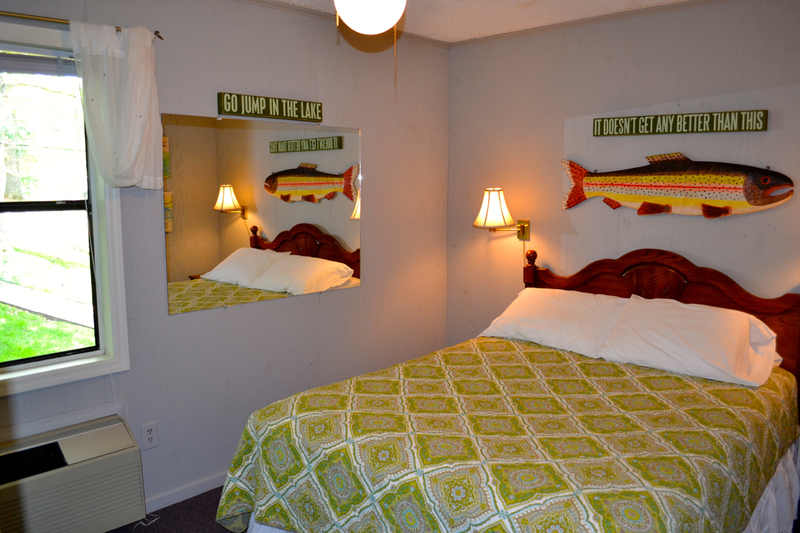 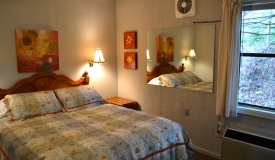 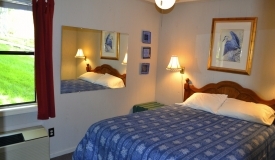 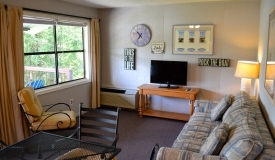 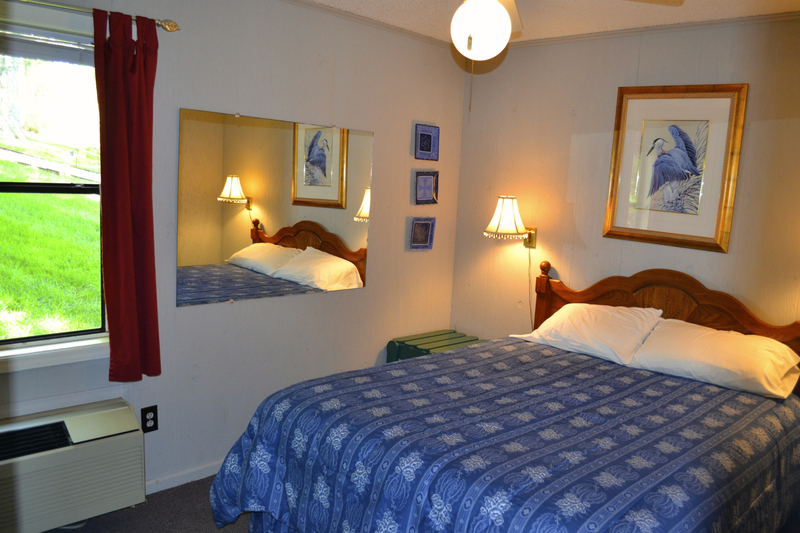 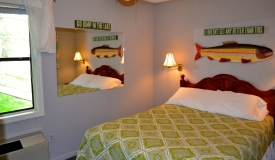 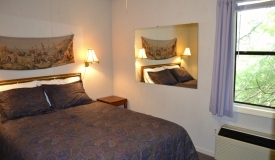 Suites include a full kitchen, living room with queen sleeper sofa, and bedroom with queen bed. 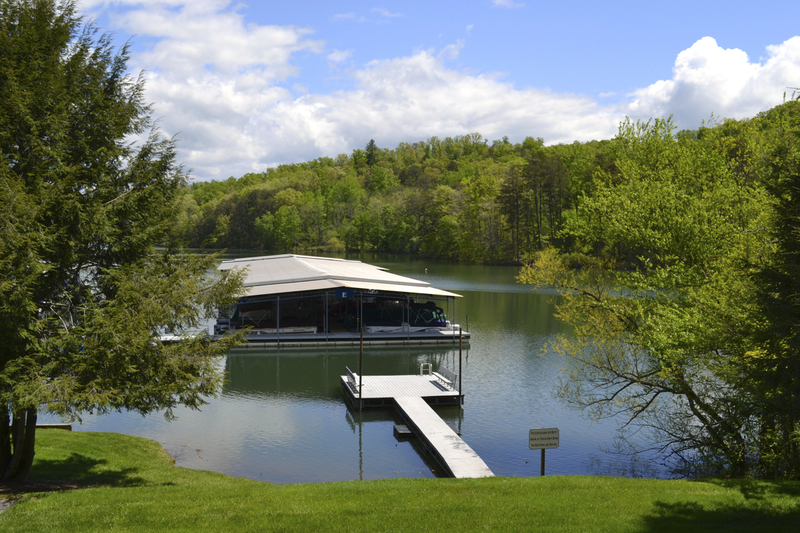 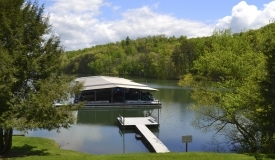 Swim dock is located nearby, and we offer complimentary use of canoes and kayaks as well as free dockage for your private boat.